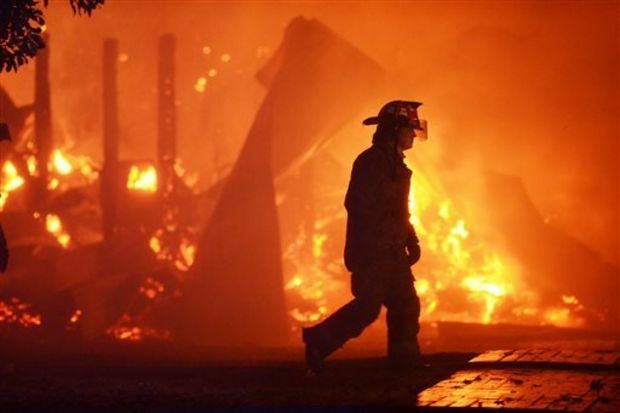 JACKSON, Mississippi — The state agriculture commissioner says no people or animals were killed or seriously injured in a large fire at the Mississippi Agriculture and Forestry Museum in Jackson. Commissioner Cindy Hyde-Smith says it was not immediately clear what started the fire Thursday evening. She says a maintenance shop and barnyard were destroyed. Footage shot from a helicopter for WLBT-TV showed flames shooting high into the sky. Jackson firefighters were battling the blaze. The museum is near Interstate 55 and another busy road in north Jackson. The fire was burning during rush hour as thousands of commuters drove home. The tourist attraction has dozens of buildings, many of them wooden. They include historic wood buildings set up like an old-fashioned small town.